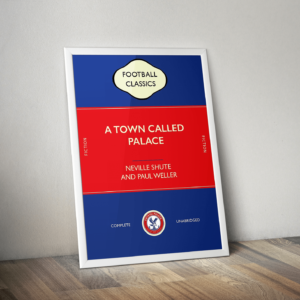 A combination retro book cover print between Charles Dickov and The Blue Army. Published by Blue Moon Books. A brightly coloured retro book cover print paying homage to Orwell and Liverpool FC. 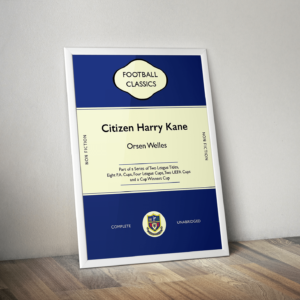 Retro book cover featuring Citizen and Harry Kane. A vividly coloured retro book cover acknowledging Christie`s work and the Mighty `O`s.